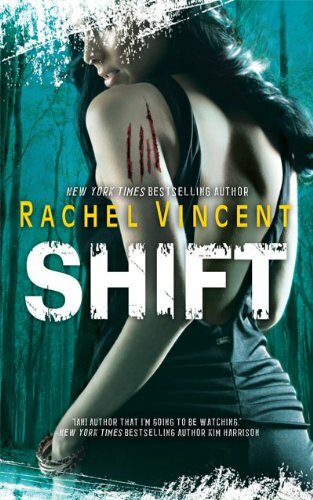 This week, I’m daring you all to read The Shifters series by Rachel Vincent, one of my all time favorite! This is a 6 book series which started with Stray in 2007 and ended with Alpha in 2010. 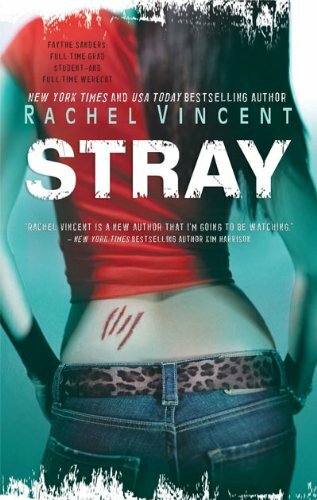 Stray was Rachel’s very first published book and even thought it has a few flaws, I thought in was amazing and I even hunted down a copy of Rogue, the second book in the series, in the UK so I could read it because it was out of print is US & Canada. Each book in the series gets better and better and you really care for the awesome characters Vincent created. I burst out laughing, felt like throwing my book my across the room (which I would never do, mind you!) and got me weeping a couple of times (especially in Alpha). 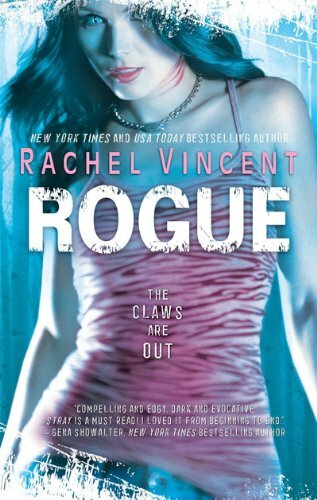 Rachel Vincent created a very engrossing world featuring werecats and the relations within the pack and with its ennemies, along with a great love story will keep you begging for more. The series is now over, so if you pick it up now you won’t have to wait for any releases (lucky you! ), but I was really sad to see it end =( I LOVE the characters and it is really hard to let go. I'd been warned about Strays—werecats without a Pride, constantly on the lookout for someone like me: attractive, female and fertile. I fought him off, but then learned two of my fellow tabbies had disappeared. This brush with danger was all my Pride needed to summon me back…for my own protection. Yeah, right. But I'm no meek kitty. I'll take on whatever—and whoever—I have to in order to find my friends. Watch out, Strays—'cause I got claws, and I'm not afraid to use them…. 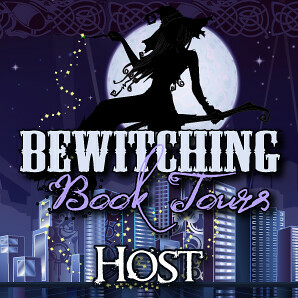 Make sure to let me know if you plan to read/have read the series! I've never read any of Rachel's books, but I recently won the first in her Soul Screamers series so I'm very excited about that. Great pick and I love this meme thanks for hosting it! OMG! I really need to pick this up! Thanks for the heads up about this series! Moirea - You should give it a try! I much prefer her adult series to her YA series. Mardel - O god Mardel, you HAVE TO pick Alpha. It's the best of the series! I coulnd't agree more! One of my most favorite series and authors! 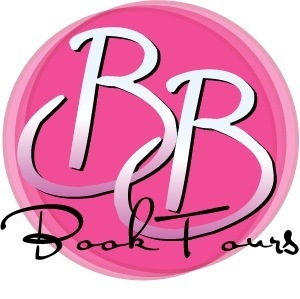 One of the first books I read that included shifters, which I can't get enough of now! @Tampa - Can't wait to see what you think of it! @Jess Can't wait to see your pick! I started the series in August and just finished it! I am so glad that I picked it up. Next for me is the Succubus Series by Richelle Mead :) I love tackling older series! I loved this series. But then again everything Rachel writes is fantastic. Great choice, Tynga! I love this series. It's crazy how much Faythe grows over the course of the six novels. @Mardel: You MUST get Alpha. It's the best of the bunch, for sure! o men, this series has been on my TBR for years now. For some reason, they are never at the top. Boosting them up today! I loved this series. Faythe was irritating at times, but I love her anyway. I suggest that if you are about to read the series for the first time that you have books 4, 5, and 6 ready. They get super intense. Also Faythe does grow and become more mature as the series progresses. I've heard amazing things about this series I really want to try it out! About 6 months ago I picked up the first two books in this series because Rachel was at a signing event. I have yet to read them but I have heard amazing things. 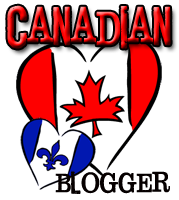 Lol I keep meaning to make my own Daring to Read post but I haven't found the time yet. I read this series and loved it too. Prey was my favorite though and oh how I cried and cried, I think even more so than Alpha.